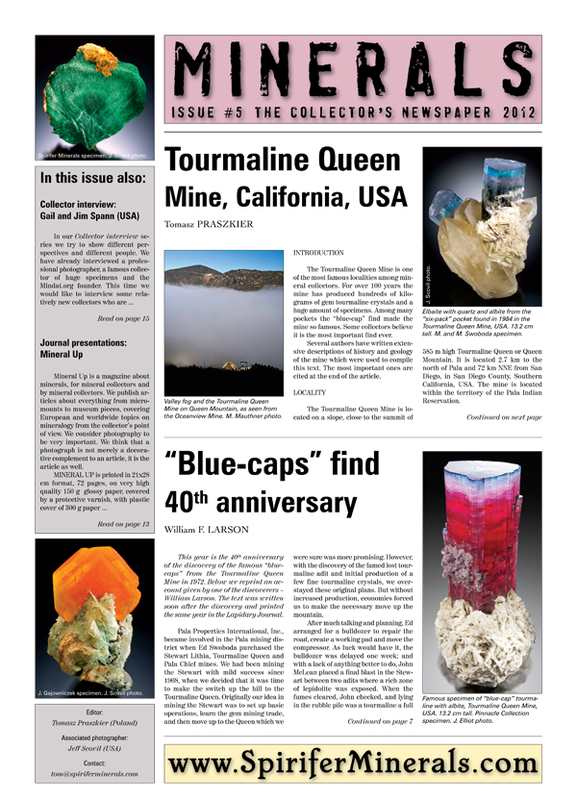 We are proud to annouce the publication of the 5th issue of MINERALS, The Collectors Newspaper! 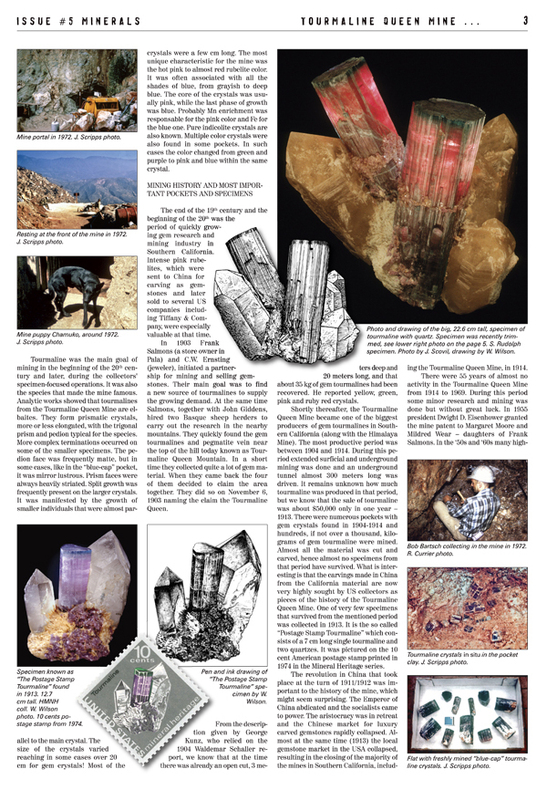 This newspaper edited by Tomasz Praskier is published twice a year, and given out free of charge at major mineral shows. Check it out online here or at Mindat.org. 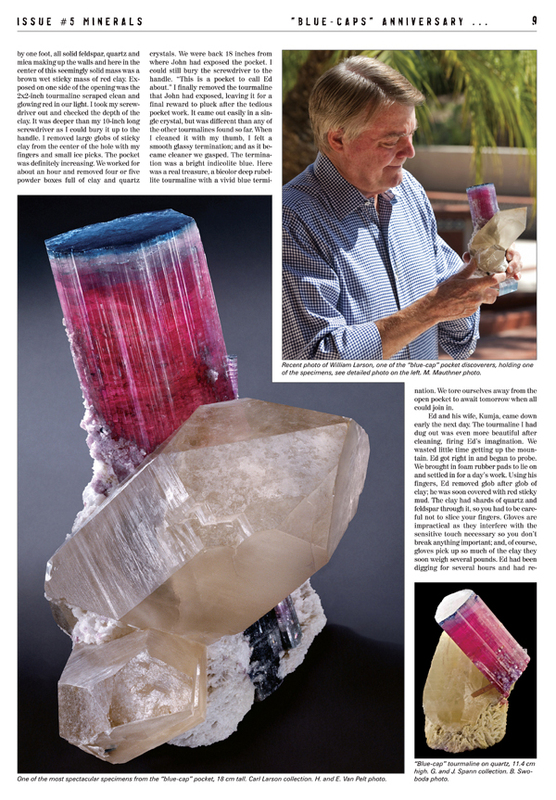 A printed copy can be picked up for free at the Munich show (booth A6.312) and Tucson. 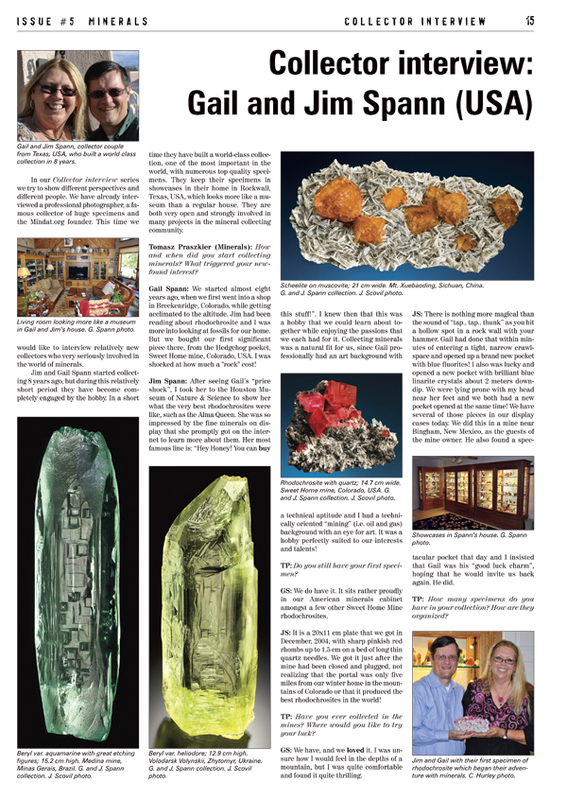 Click above to read issue #5 on-line.